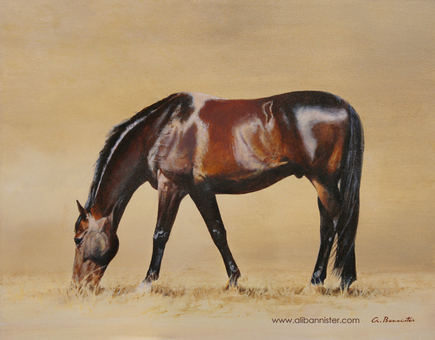 Con Calypso is 17.2 hh Hannoverian who was 9 years old at the time that this portrait was painted. If Calypso was a person he would certainly be one of the Brad Pitt/George Clooneys of this world; incredibly handsome, charming and memorable. However I don’t think I have ever known a horse as spooky and sharp… so don’t be fooled by this loveable rogue. Prints are from a limited edition of 250 and are signed by the artist.